Asoke is what a lot of people consider to be the real CBD of Bangkok, and it has the restaurant list to match that title. It’s long been home to some of the city’s best establishments. You can find pretty much anything here, from quality Japanese (think Unatoto, where you should go for the unagi don, and Uma Uma for ramen), Italian pasta specialists like La Dotta La Grassa, and tons of quality delis and bakeries (Gontran Cherrier and Kuppadeli come to mind right away). There is a consistent line-up of new places each year. Our favorites for 2019 include new breakfast spot Gontran Cherrier and Aussie flexing Odtomato. You bet, there are loads of places to get your booze on when the time comes. Whether it’s sipping a couple of cocktails or working your way through a beer flight with carb heavy food, you don’t have to travel that far outside of Asoke to get what you want. For wine, we actually recommend About Eatery, where they turn conventional wine culture on its head by educating customers on the beguiling characteristics of natural wine before they attack the phone-book-sized menu. For craft beer, hit up Changwon Express, where Craft beer enthusiast Ted Ahn showcases Thailand’s burgeoning craft beer industry with pride. For party vibes, Havana Social has topped our Asoke lists for a long time and really needs no explanation at this point—the Cuba-referencing salsa speakeasy pulls in the neighborhood’s best crowd. But wait, there’s also legions of rooftop bars to evaporate your hard-earned cash—Sky on 20 regularly makes it on own best-of lists. Do check out the latest opening, Tailor Asoke, where the measurements come in a shot form. Yes, of course, we’re all aware of the gleaming megaliths like Terminal21 and Singha Complex and how good they are at parting you with your cash, but there is more to Asoke shopping than that. Check out Bstore for menswear, which puts the focus on cult fashion labels from around Europe and Asia, like A Kind of Guise from Germany, Suicoke from Japan and CMMN from Sweden. There’s also some decent places to scour for vintage finds, like It’s Happens to be a Closet, which offers a fashion shop, gift corner, restaurant zone, nail service, foot massage and different workshops throughout the week. If you do venture inside Terminal21, we recommend going for the local labels found on the upper floors and avoiding the big-name labels closer to the bottom. It wouldn’t be much of a neighborhood without places to live. Asoke’s condo market is one of the most developed in the entire city and we can’t see that changing any time soon. 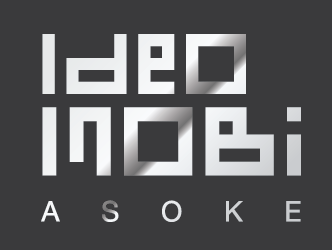 A great example of the caliber we are talking about is IDEO MOBI ASOKE. With a very reasonable price of 169,000 baht/sq.m., the condo comes with all the modern fixings you expect with shiny new buildings (an exclusive rooftop lounge with a library and co-working space, swimming pool, Jacuzzi, sauna, running trail from 1st to 7th floor, gym, and lush gardens among others). The location is a decent distance away from the pure craziness of business districts like Rama9 and Asoke (we’re talking about the chaos right at the intersection) but is still close enough to get around with ease. You’re about 290 meters away from Airport Rail Link Makkasan and MRT Petchaburi—only one station to MRT Sukhumvit where links with BTS Asoke. Like a lot of other high-end condos we are seeing right now, IDEO also tries to cultivate harmonious nature vibes with tons of green space around the facility and in the public spaces. Living here also means safer living, thanks to a Smart Safety security system and digital door locks, IP security cameras, water-leak sensor, automatic AC control and lighting, and break-in alert systems that connect to your smartphone.